Dried red chillis - 2-3 nos. 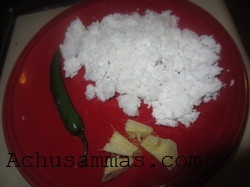 · Grind grated coconut, green chilli, ginger, salt with yogurt/curd. 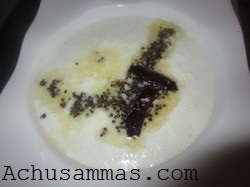 · Pour this paste into a bowl. Have you used ginger or mango ginger? No dear,this is normal ginger..
i like this chutney..nice flavour . Tasty and delicious chtney !!!!! 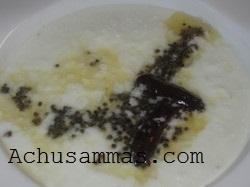 hi achu, just to say thank you for your sweet comments on my post “sago dessert” at sobha’s last week. 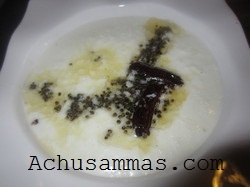 tangy and spicy chutney..love to try this soon. Very flavorful one, love ginger in this..